This week has been one of many revelations for me. Coming home has actually felt harder than leaving did. We have been a united family for so long, always focusing on this goal of fighting immigration and proving against the odds that we were going to keep our family together and come out smiling on the other side. Well, we're on the other side now and it hasn't been all smiles. Our relationship has been stretched very thin and I spent days wondering if we had survived so much only to lose it all after the battle. It was as if all of our energy and passion had been focused on fighting the enemy and now what? Where do we put all of our energy and passion? My passion has always been to travel. I eat, sleep, breathe, and dream about traveling and places that I've never seen. This fire has been with me for as long as I can remember. These last 8 years of my life have been restricted because any travel I did was be limited to the United States if I wanted my husband as my travel companion. Jose's passion is his family and the home front and then travel might come into play at the bottom of the list. He can finally walk around without the fear that we are going to lose everything we've created here. His passion is to make our home better and do all of the projects that we put off like pavers in the front driveway with a wooden deck and jacuzzi out back. He wants that Toyota pickup that I promised him if I ever succeeded in helping him get that elusive green card. Since April 15th, I have been making my dreams point towards Spain. I want him to acknowledge the sacrifices that my privileged white self has done and jump on the train with me. I am consumed with this desire to travel and spend some serious time in Europe and see everything that it has to offer. I want to find a quiet little town and settle in for the 8 month stay and make it our life. I want to get my Master's in Linguistics so I can travel the world later on and teach English. Spending a year in Spain teaching will be a huge step in that direction and I hope that I can get my CELTA certificate in Barcelona at the same time. The time clock is still ticking on my GI Benefits and I don't want them to go unused. Jose doesn't understand why we can't wait another year and do it later. I'm afraid that the longer you put something off, the higher the chance that it won't happen. Maybe it will end up being me and the girls going while he stays home. I hope not but I am so focused on my dreams that I'm having a hard time acknowledging his. Buying a new truck means adding another large monthly bill onto the ones we'll already have to pay while we are gone. Why do that? Our mortgage and utilities will already consume most of the savings we need to take with us, let's not make it any harder, not to mention cut into my European vacation fund!?!?! 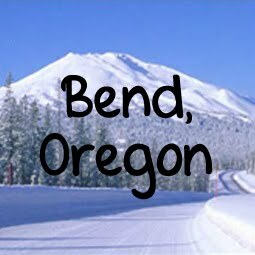 Right now we're sitting in Bend, in our little house that we call home. I think we have finally reached a point where we are not bickering and fighting about every tiny little thing. Oh my goodness, that just saps the energy right out of you! Jose was able to go right back to work when we returned but it took me quite a bit longer. I finally found a temporary position as a bilingual legal assistant for an immigration law firm. Wow, talk about coming full circle. This is what I have been living and breathing on an extremely personal level and now I'm doing it for a job. I've been there about 3 weeks now and I am fitting in perfectly. Our immigration journey was a very stressful, emotional journey and I am now being reminded of that on a daily basis. I pick up the mail on my way into work and when I sat down to open it up one morning, I saw an approval for someone's provisional waiver and the tears just welled up in my eyes and spilled over. This is why I have a hard time becoming a high profile activist because it is so personal to me and hits me so hard. I have a hard time fighting my PTSD and depression without a drug cocktail and I can't drag myself into something that will end up pushing me into that dark place again. So where are we heading now? I don't know. I can only hope that it is going to take me overseas on another wild adventure. A family member commented last week that they couldn't understand why I was creating shadow boxes that said Home Sweet Home on them with a map of the United States, Oregon, and Bend. I had to explain that I don't hate the land that is my home, I hate the way our society behaves and how dark and bleak the future seems for our people but I love the beauty of the mountains, lakes, and streams that make up my home. I want to take my children out into the world and show them the beauty of the world's people, not the borders that divide us. In order to do that, I need to leave home. World citizens weren't creating sitting at home in the comfort of our daily routines. That is where fear and phobias are bred.